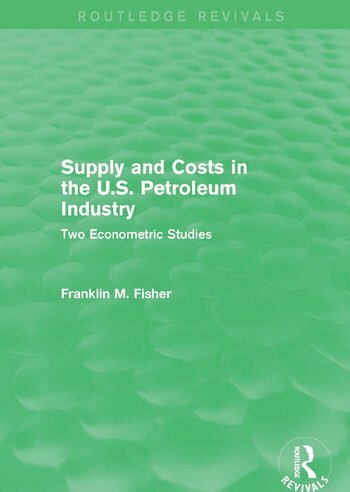 Any discussion of the various facets of petroleum policy in the United States rests to a greater or less extent on the issue of sensitivity of petroleum exploration, and hence of new petroleum discoveries to economic incentives. Indeed, a principle argument in favour of having a special petroleum policy at all is that domestic petroleum exploration is so sensitive to economic considerations that in the absence of special incentives exploration expenditures would sharply decrease, as would the amount of petroleum discovered; consequently, the nation’s known oil resources would be reduced to an extent dangerous in the event of an international crisis. This study attempts to answer the question: how sensitive are new petroleum discoveries to economic incentives? This book will be of interest to students of environmental studies.